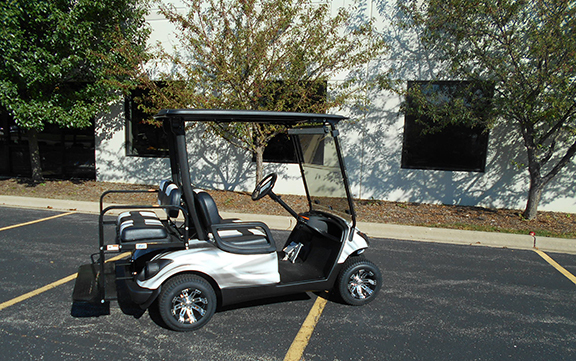 A very unique custom used Yamaha Drive Electric Golf Car with new Trojan batteries and a custom painted black and white body. 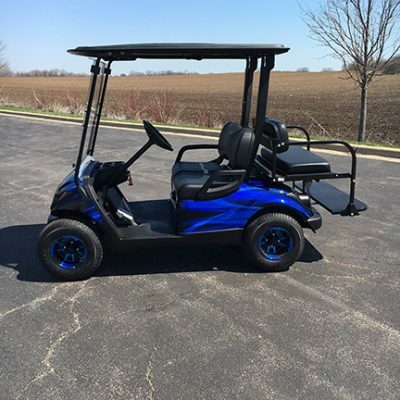 This golf cart has the premium wheel and tire package as well as custom designed seats with a rear facing flip seat. 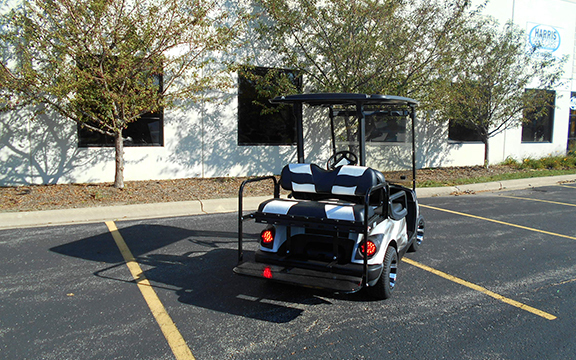 You will love the lights, turn signals and horn package and the tinted, fold-down windshield. 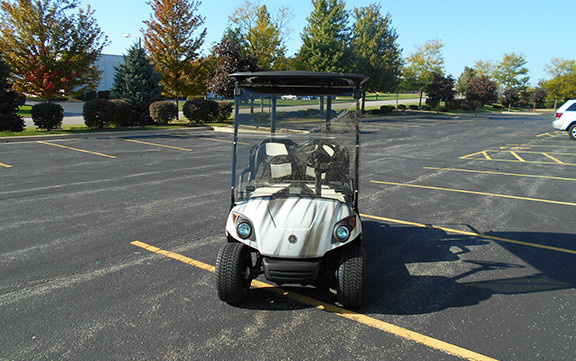 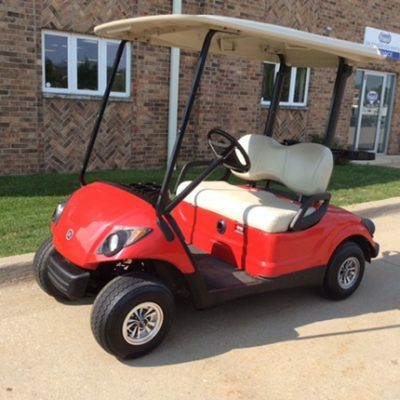 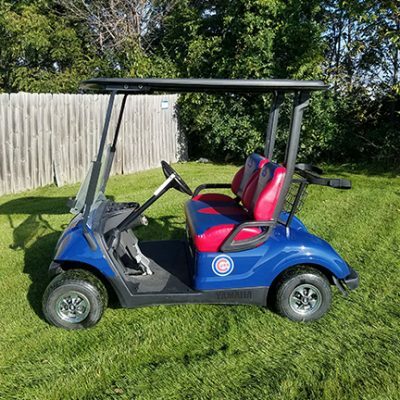 Contact Harris Golf Cars for more information and let us know if you would like to see this vehicle at one of our Iowa, Illinois, Wisconsin or Nebraska locations.